Welcome everyone, Darcy here with another topic introduction. this one is so quirky and open to limitless interpretation that you are guaranteed to have fun. This topic really does follow on from our last one. 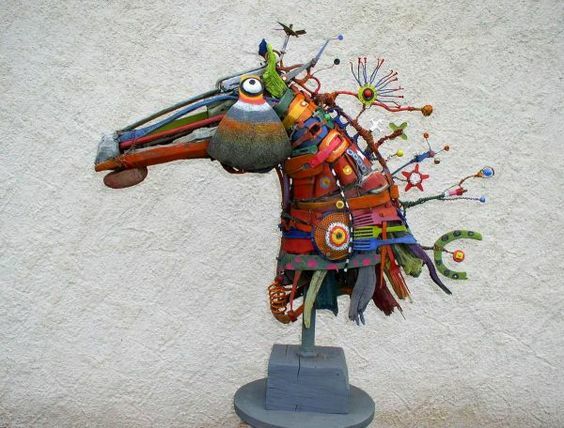 Assemblages are a cross between collage and sculpture, they incorporate found objects and purposefully bought elements. I think 3d collage is the very best description for this genre of artistic expression. As with our found objects topic we owe a lot to the artists of the 20th century for giving this style a name and a definition. 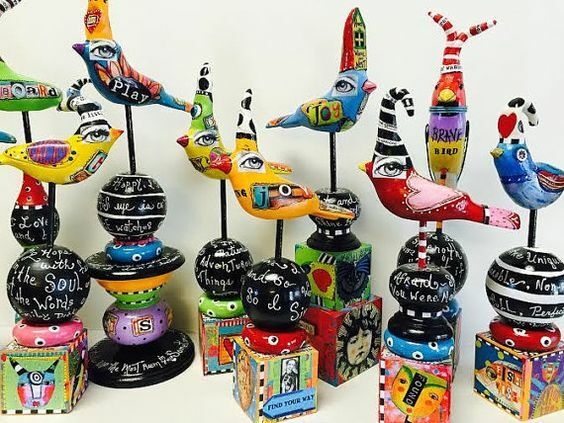 Artists such as Pabloc Picasso, Jean Dubuffet and Marcel Duchamp are all early exponents of this eclectic style. 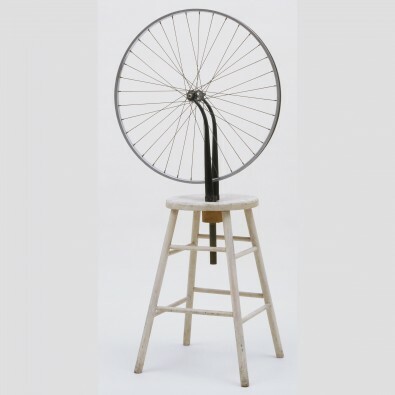 Here is Duchamps 'Bicycle' from 1951. 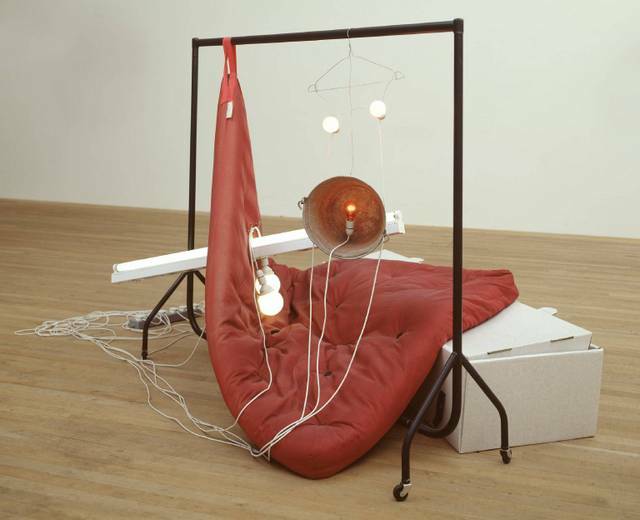 Assemblage requires a 'process' and that is the act of putting 'things' together to create a new object. From the start the style has had a slightly grungy edge to it, this is down to the components often being discarded or found objects. But there is a skill to this art style, one cannot just throw objects together, they much flow and have some harmony. this means when using found objects they should be carefully selected, just being 'found' is not enough. 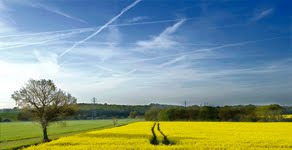 think about colour, shape, scale, theme..
Modern artists are still very much enamoured with this style. What do you think of this one, is it art to you? 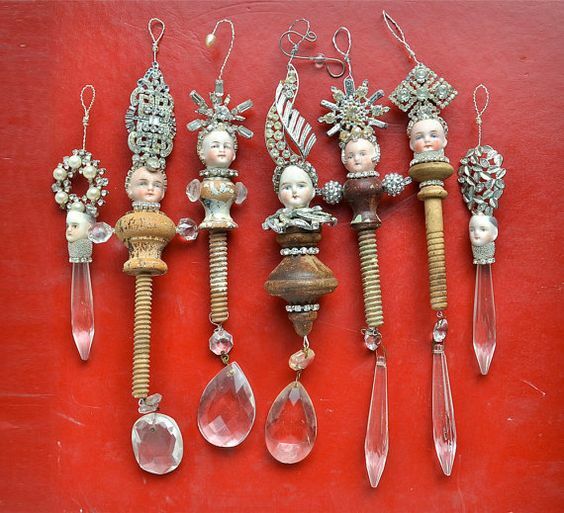 it is very much an assemblage, but the elements are very different to ones that crafters may choose. Here you can see a mattress, a cardboard coffin, a clothing rail etc. I am not sure that many craft companies will be bringing out a range of mattresses to cut up just yet, so let's look at something smaller. More vintage, but this time with a quirky twist and modern elements. Wings seem to feature a lot in assemblage art, they are a great way to add dimension and look great on things that would never usually have wings. Wings leads us nicely to birds, these are another heavily used element in assemblage art. They can range from real, stuffed, whimsy or outright quirky. 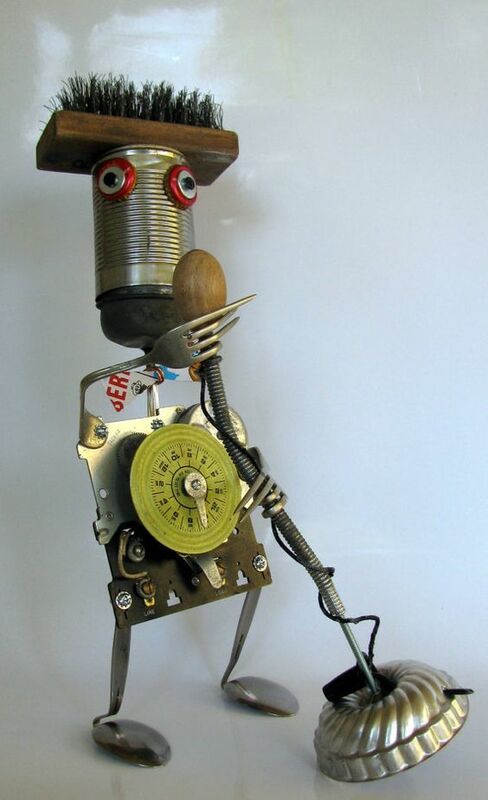 How about these for quirky dudes, I adore how these have been made in tins for bodies and I may have squealed a little bit at the tiny spanner arms! Just too cute and jam packed full of details and personality. Could you use a little friend like this for your studio? This video has some great ideas for small box assemblages. 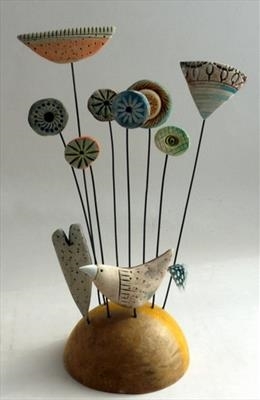 This next piece is by Shirley Vauvelle, follow the link to see other fabulous pieces by her using ceramics and driftwood, aren't they a great combination? Perhaps you don't have space for a large 3D object, you can of course make any size that you want. However about keeping it fairly flat. you can see that this book cover does not take up as much room, but it is still very much 3d, and has had thought put into the assemblage of the elements. Another almost flat but not really piece is this wonderful collection, carefully curated and framed it would be a wonderful piece of wall art. This next piece is so inspiring, a double spoon. Vintage, discarded objects, beautifully coloured and brought together. Trash to treasure. 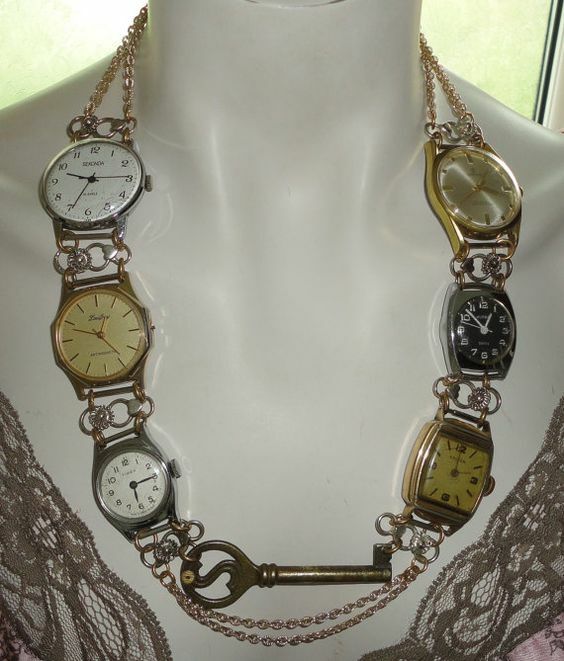 How about some jewellery, you would never be late with a necklace like this. ooh quirky dangly bits! One of these would look wonderful on an evening bag. 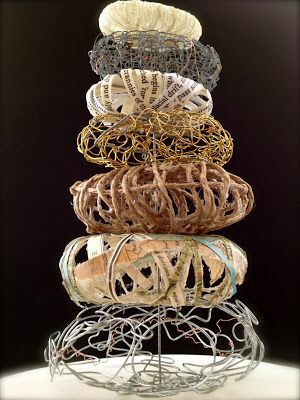 This is something so simple but so effective, it is a take on papier mache. To achieve this look dip threads, yarns or strips of text into a glue and water mix and lay them over your desired shape. You can free form them or use a mould, but make sure to wrap your mould with plastic wrap first. once dried you can create your assembled suclpture. Some interesting thoughts on Assemblage from Gary Reef. 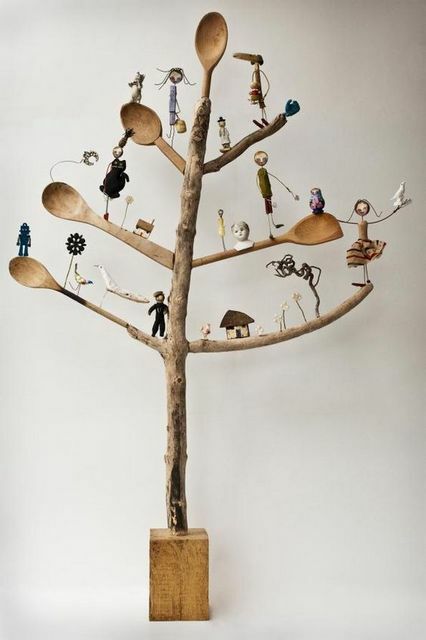 One last one, just because I love the use of wooden spoons. I may have to raid the kitchen draws! Can you imagine a tree like this filled with Zinski characters! So how will you join in, have we inspired you? I hope so, this is such a fun theme. you can raid your garages,sheds and drawers, mix and match old and new. use up embellishments, broken jewellery, cardboard, wood, grungeboard. How about adding paper beads or stamped images. Don't forget Seth Apter's wood chips, they would be perfect for adding to your sculpture. Don't forget to follow Darcy and Leandra's Pinterest boards if this topic pushes your buttons, you will see plenty more examples to whet your appetite there! I am really looking forward to seeing what you create over the next 2 weeks! The current topic link will close 17:00 (London Time) Sunday, 21st May 2017, and the winner will be announced 2 hours later at 19:00. 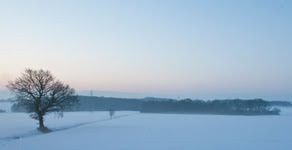 The challenge is a for you to show how you are inspired by the current blog topic. We encourage you to play with us and explore your personal creative style. Please mention which PA blog post inspired you and and why (link directly to that post). Please don't link to the home page of your blog because then no-one can track back to easily find the original post. We prefer your challenge blog post is created exclusive to our challenge, but if our topic fits perfectly with another challenge, then you may link to both if appropriate. You are most welcome to use stamps/ products/ substrates you have to hand from a variety of companies, we do not expect you to exclusively use PA products - it's lovely when you do though! 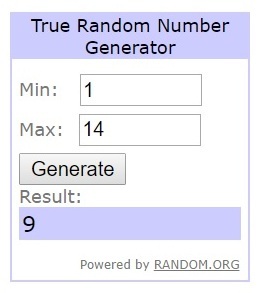 You can enter as many times as you like. We don't want to restrict your creativity! 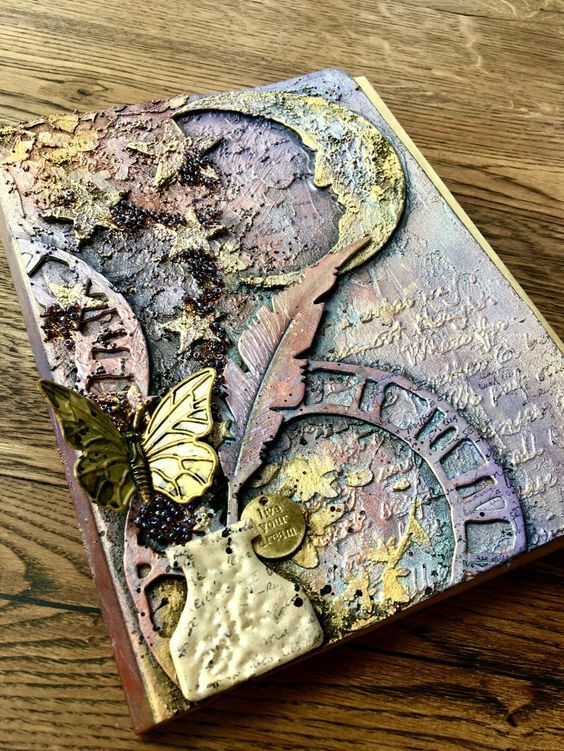 Prize: The winner will receive a £50 credit voucher to be redeemed on the PaperArtsy Website. The credit voucher includes VAT and postage. We request that one of your purchases is an A5 rubber stamp. You can add any other items to your basket, but the final total should not exceed £50. It's your responsibility to claim your prize coupon from Darcy. NEW Challenge/ winner: Each fortnight on Sunday, the winner will be announced at 19:00 (London time). In the same post, the link for the next fortnight will be posted. Congrats Chris for your win. A thought provoking topic this time. I love that piece by Bridget Hoff. Congratulations Chris, Fun new challenge, looking forward to this one!! Great research Darcy - looks like a great topic. Well done to Chris for the win! Gosh!! I've only just seen this. Family only just left. Wow!! How lucky am I?? Thankyou Darcy. I am so thrilled to have been randomly selected. How exciting. Equally exciting and inspiring is the new challenge. I adore those birds. There is such a variety of ideas in this post. The way that artist has bent the long prongs of the forks to form fingers is just awesome. Thankyou everyone for such warm congratulations! Feeling very blessed. Congratulations Chris! Great topic Darcy! Plenty of inspiration! 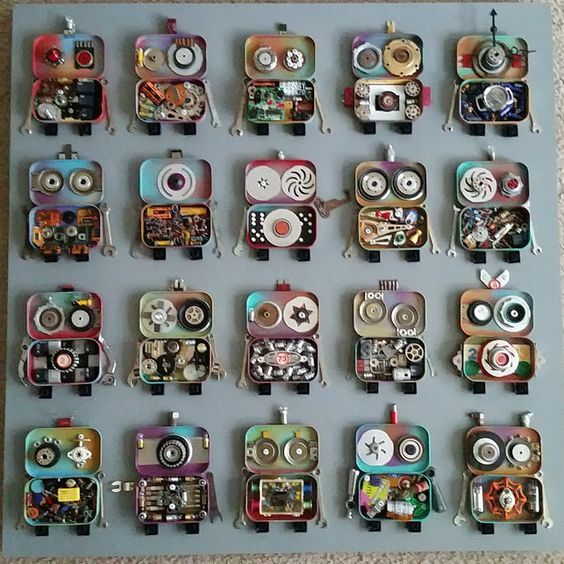 I love the tin robots, so cute!! Congratulations Chris! And thank you Darcy for finding all these amazing pieces of art. Well done Chris Big Congrats.. What a fabulous new challenge. Look forward to seeing more inspiring posts and entries. Wonderful introductory post as always Darcy and congratulations to Chris on her win. 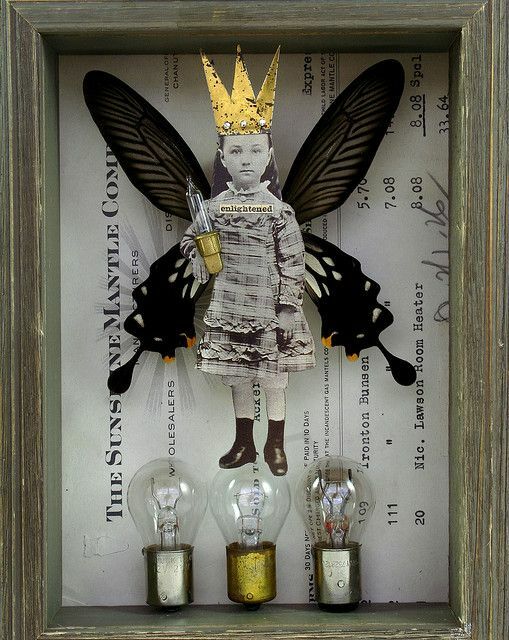 What an amazing challenge ... i love assemblage and you have featured some of my fave assemblage artists ... i am inspired!!! The design teams projects are wonderful and kind of intimidating. I am adding my humble project knowing that it's not really on the same scale as these designs, kind of like I am in elementary school and your designers are pursuing graduate studies at a University. BUT it sure did inspire me to try something I haven't done before.